The 2018 harvest was particularly good: Jardin d’Orante succeeded in doubling its volumes of French pickles intended for the general public (about 621,845 jars). Part of the volumes is also reserved for professionals from the catering industry under the label Hugo Reitzel, in formats adapted for the chefs. With this success, the company decided to launch an advertising campaign to promote its pickles made in France. 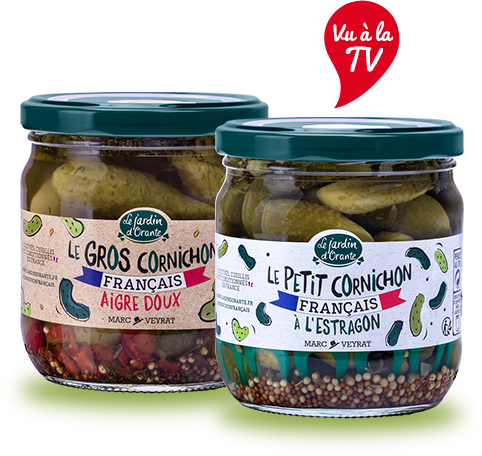 The brand is the only one to offer French pickles on a large scale and at affordable prices in large and medium-sized supermarkets. These pickles are the products of sustainable agriculture, according to very strict specifications. Reitzel began reconstructing the French pickle industry in 2016 by building fair and sustainable partnerships with farmers in central France (Loir-et-Cher, Indre-et-Loire, Maine-et-Loire, Sarthe). They were 2 in 2016 cultivating 5 ha and 11 in 2018 cultivating 17 ha. Today, the company wants to increase its production area by inviting new farmers to join the adventure.